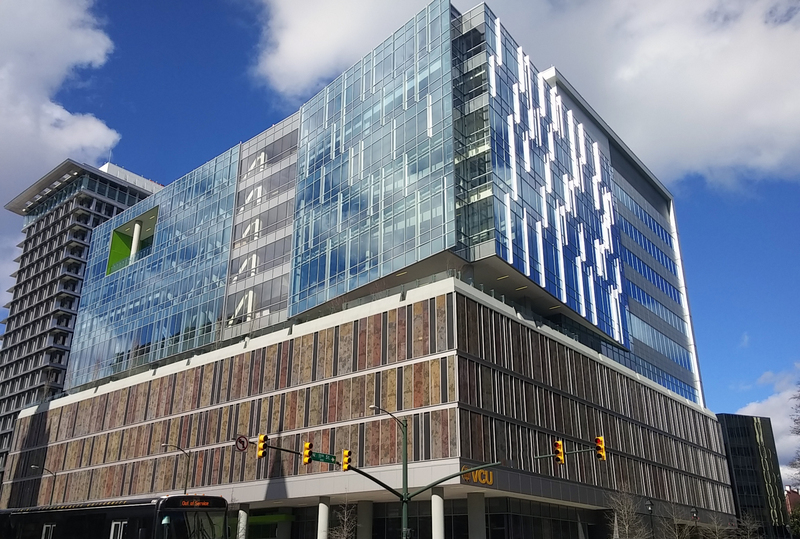 The 640,000 square foot VCU Health Children’s Hospital of Richmond Pavilion is the largest, most advanced outpatient facility dedicated to children in the region and serves as a gateway to the VCU Medical Campus in Downtown Richmond. 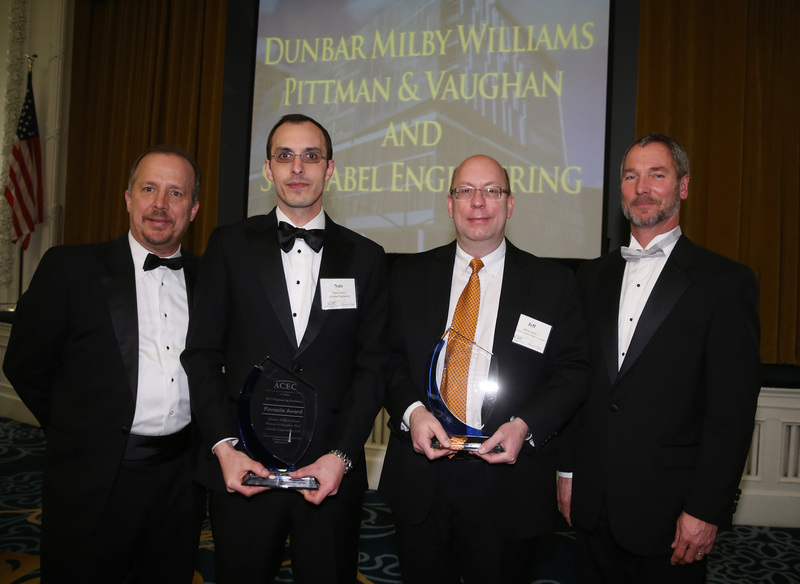 Dunbar Milby Williams Pittman & Vaughan (DMWPV) provided structural engineering and Schnabel Engineering provided geotechnical and geostructural engineering for this significant project. The two firms collaborated on the design of the structural support and underpinning of the existing adjacent pavilion building, and design of the support of excavation and mat foundation for the new building. 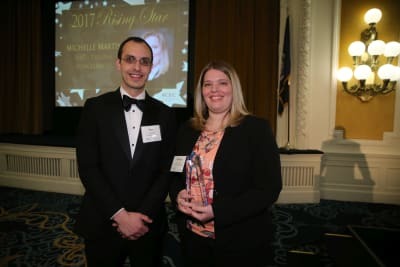 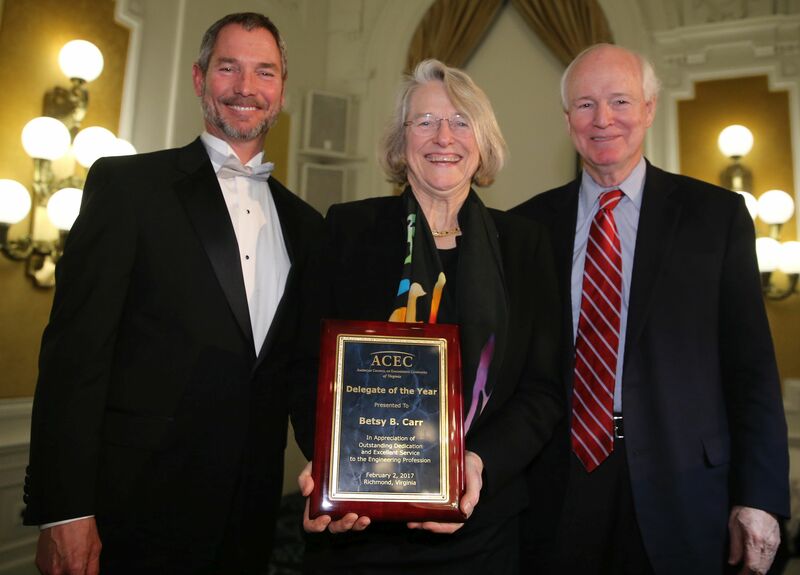 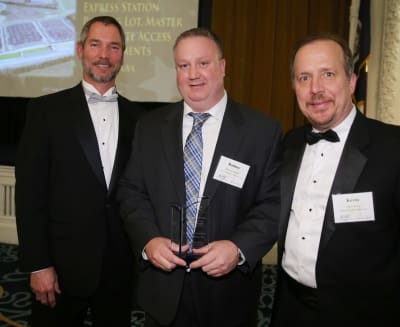 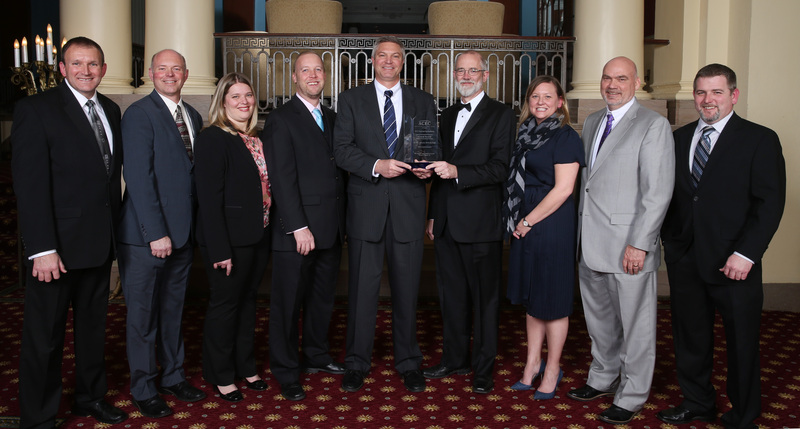 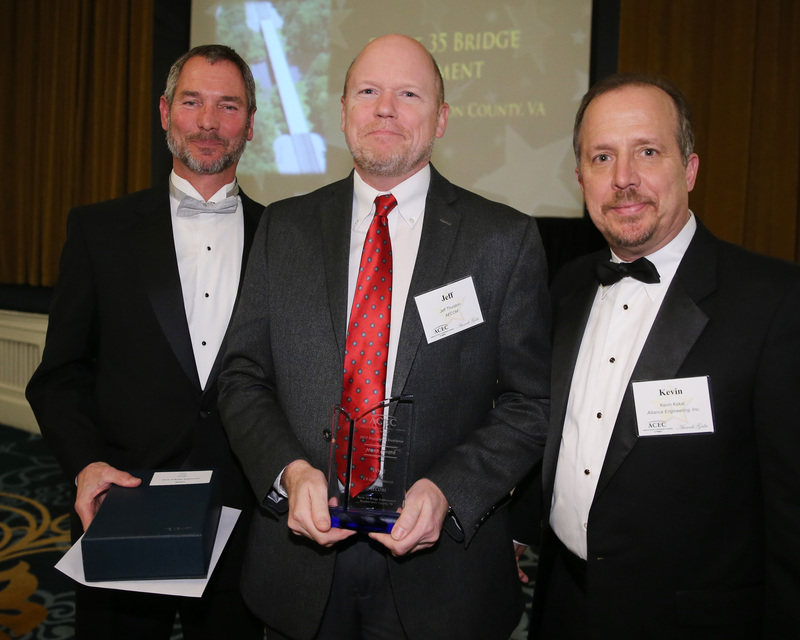 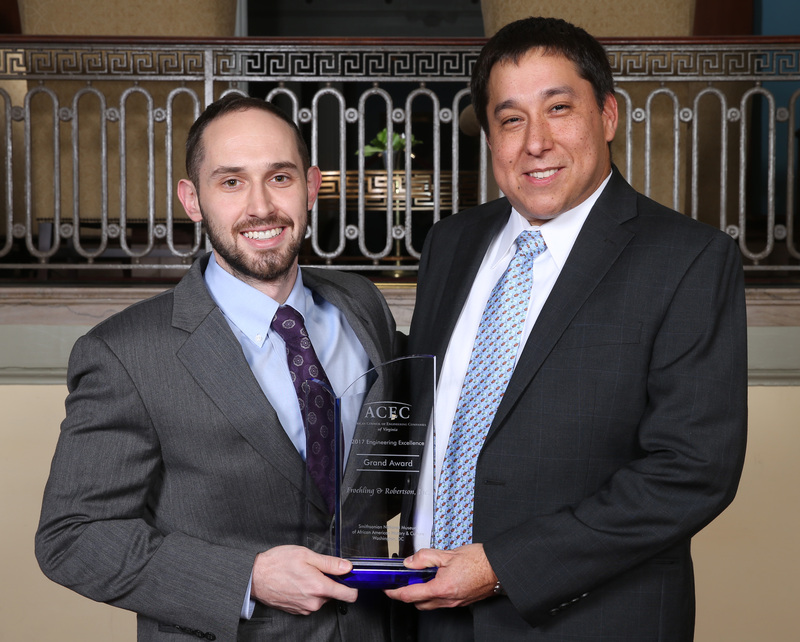 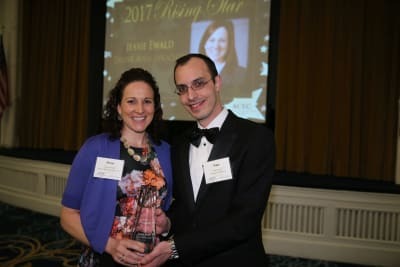 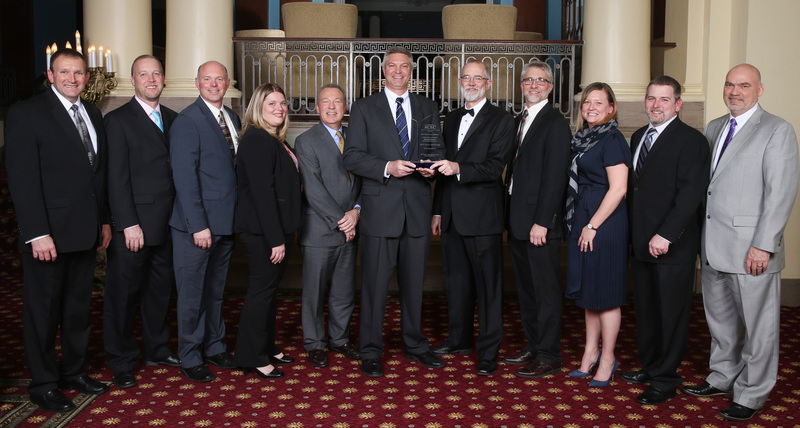 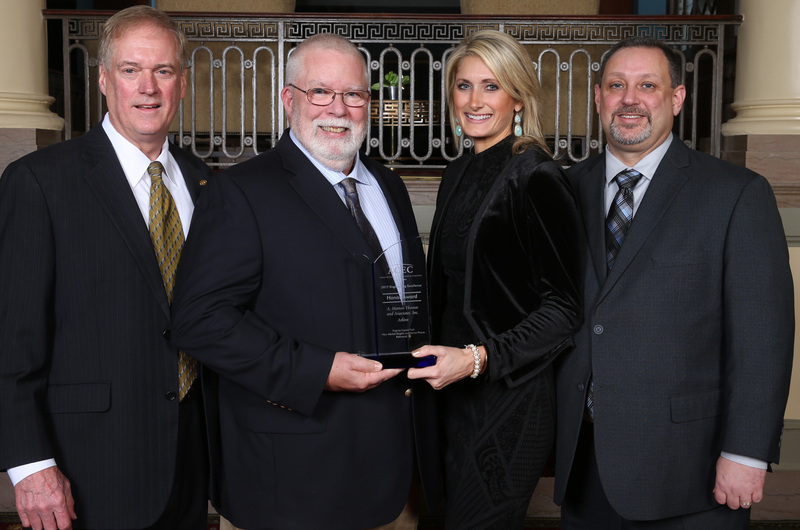 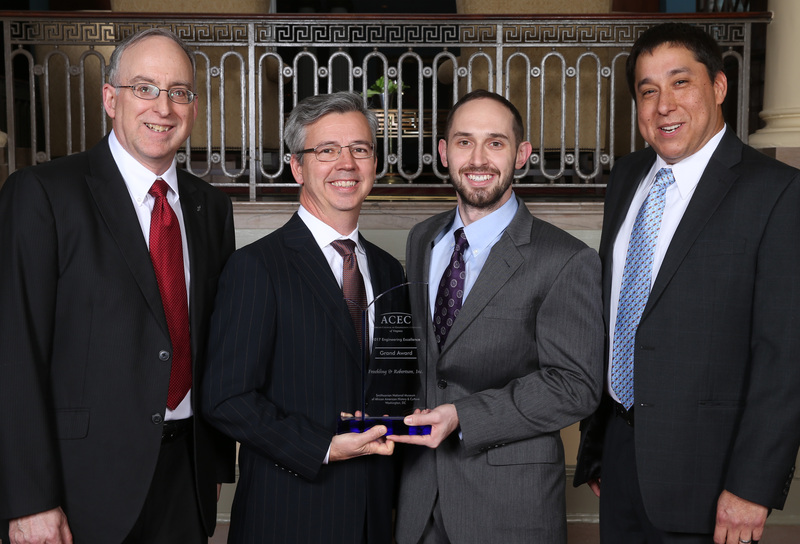 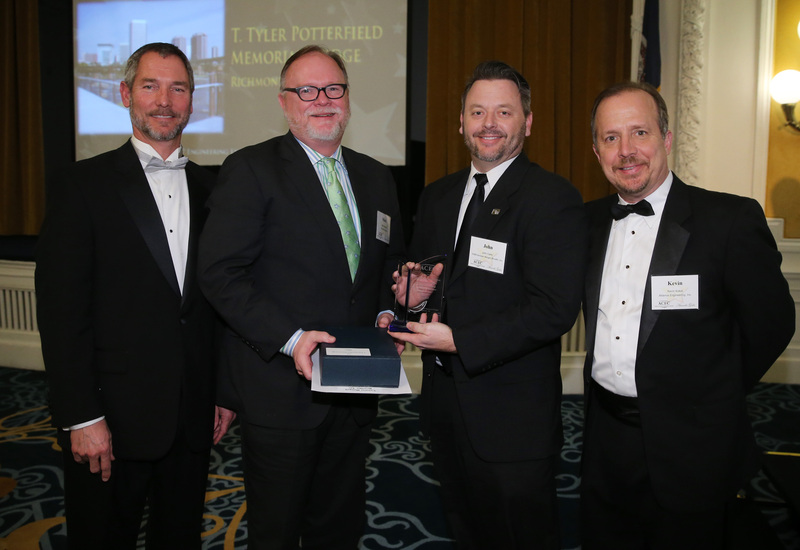 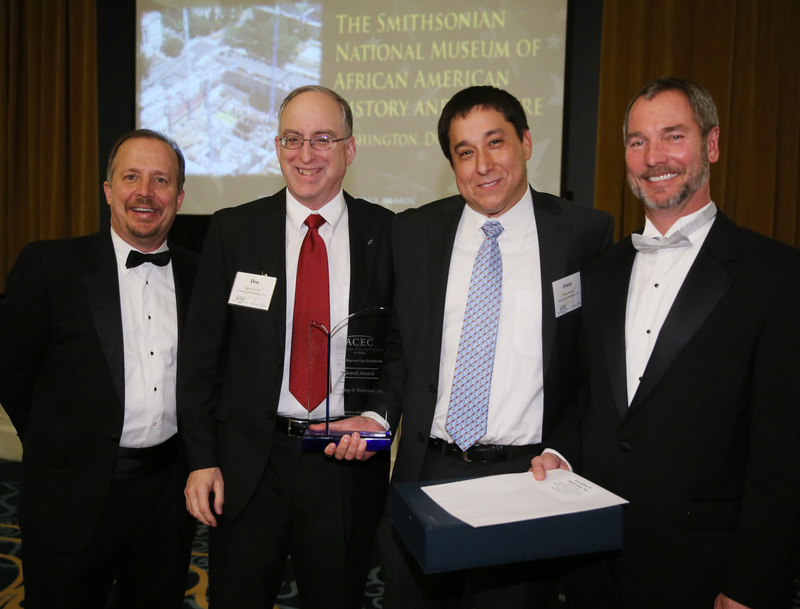 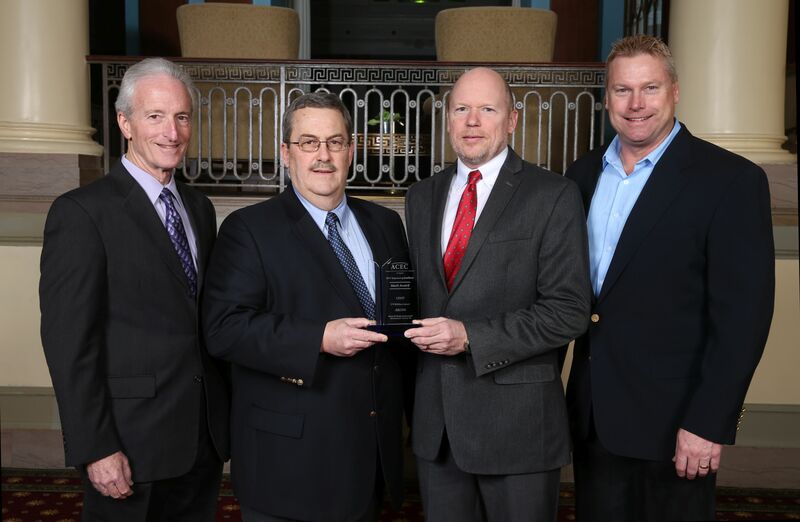 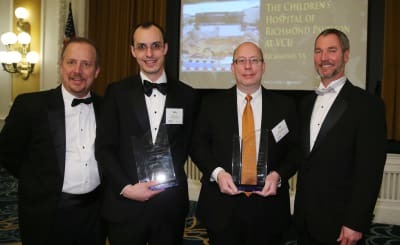 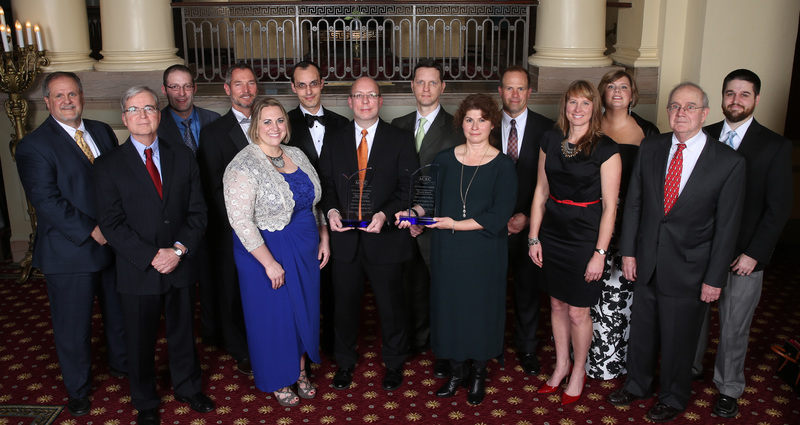 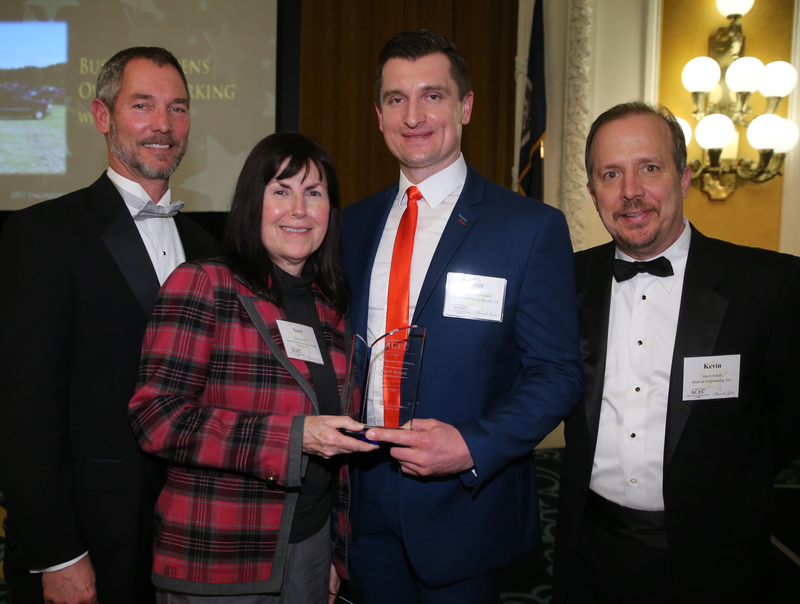 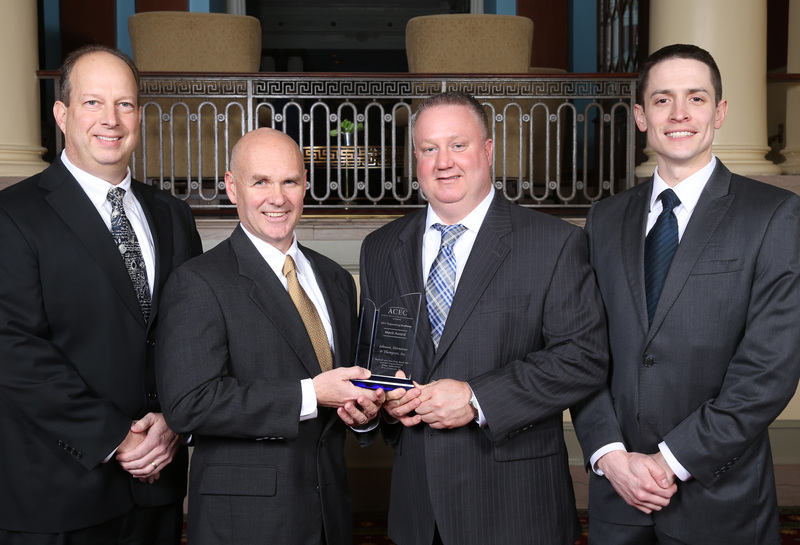 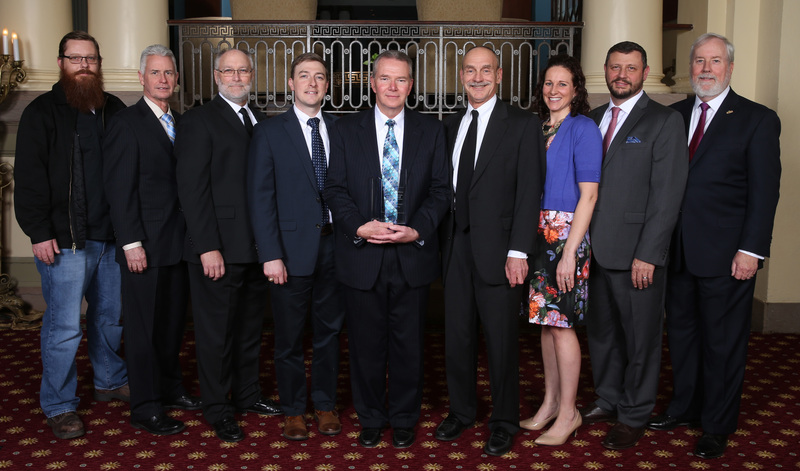 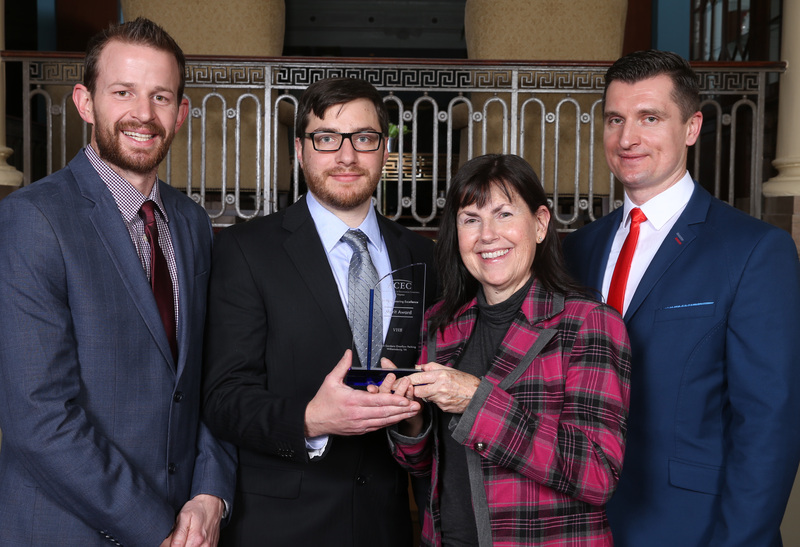 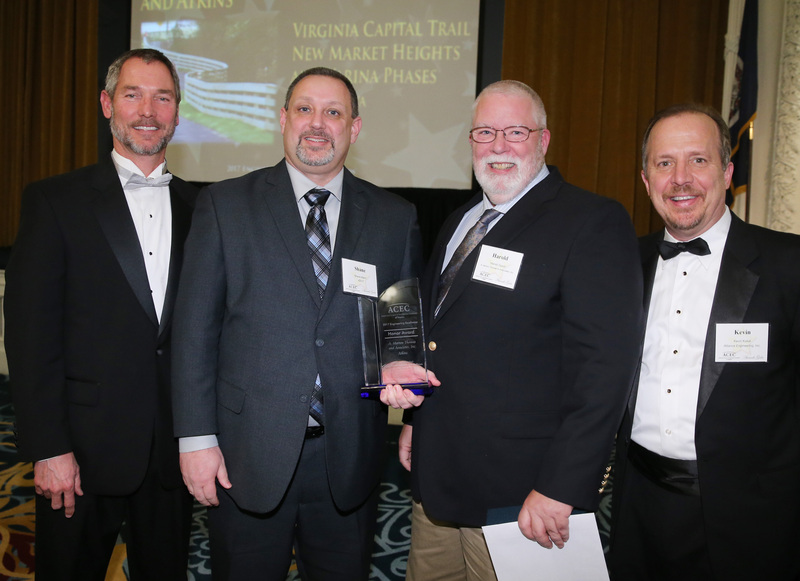 These are just some of the reasons the project was chosen as the 2017 Pinnacle Award winner by ACEC Virginia at the Engineering Excellence Awards Gala held at the Jefferson Hotel in Richmond, VA on February 2. 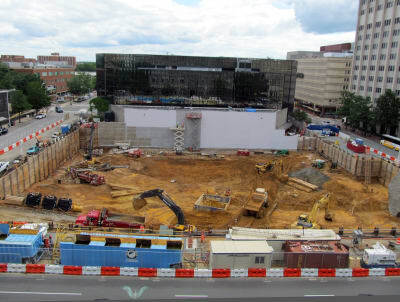 The urban environment, 55 ft deep excavation and the necessity of keeping the existing Pavilion in service throughout construction created many structural, geostructural and geotechnical design challenges, chiefly: working space was limited and cluttered with utilities; deflection of nearby structures had to be limited to a very small magnitude; the foundation design had to account for future vertical expansion; the support of excavation needed to account for future below-grade expansion to the north; and the time that the excavation was open had to be kept to a minimum. 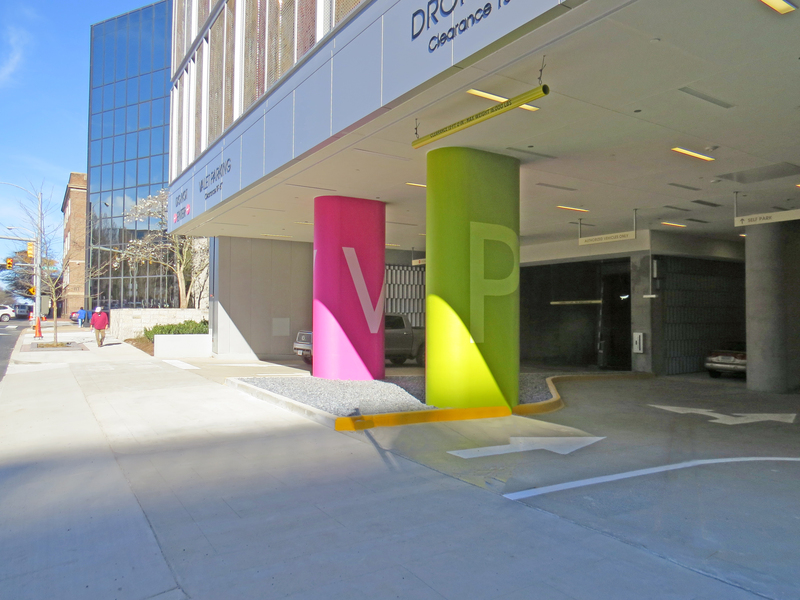 The project successfully consolidated many pediatric services into one building to provide comprehensive outpatient care under a single roof. 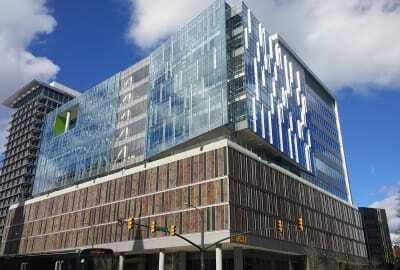 This $200 million investment by VCU Health also improved the historic and vital Broad Street corridor of Downtown Richmond. 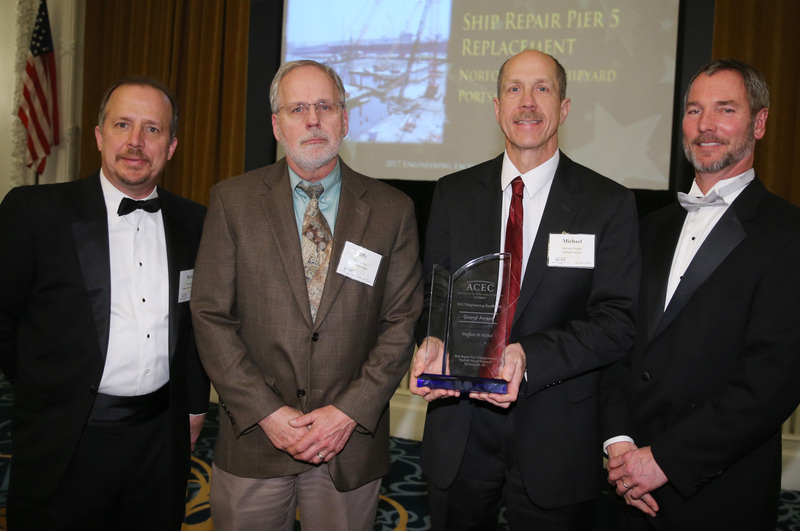 Competing against DMWPV and Schnabel Engineering were three other amazing projects, each took home a Grand Award: Froehling & Robertson for their work on The National Museum of African American History and Culture in Washington, DC; Moffatt & Nichol for the design and replacement of Ship Repair Pier 5 at the Norfolk Naval Shipyard in Portsmouth, Virginia; WSP | Parsons Brinckerhoff and SKW Constructors for the Elizabeth River Tunnels Project in the Cities of Norfolk and Portsmouth, Virginia. 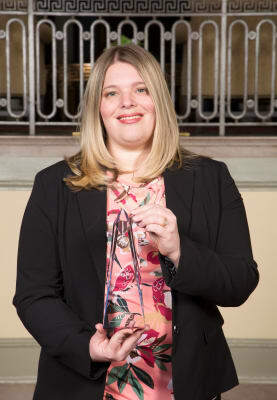 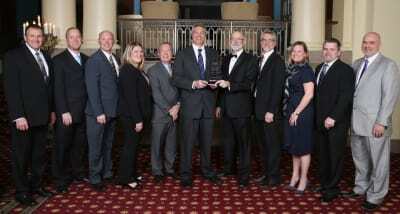 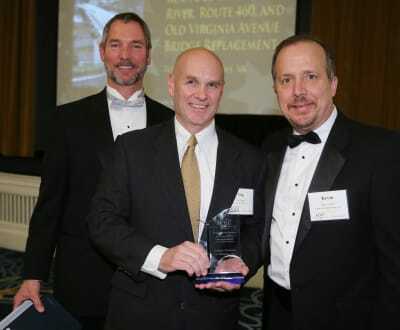 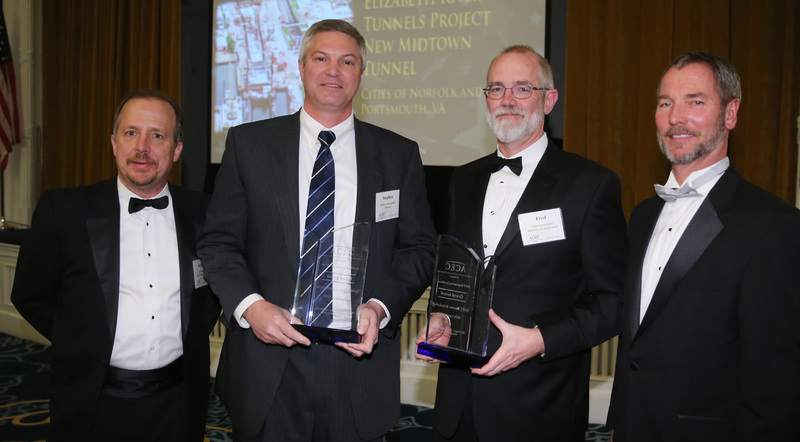 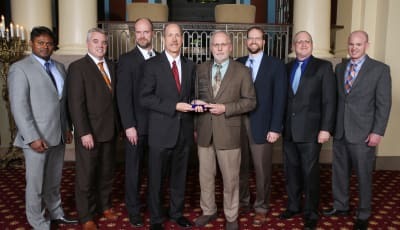 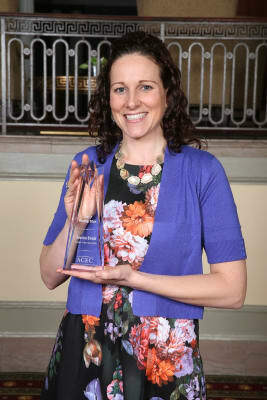 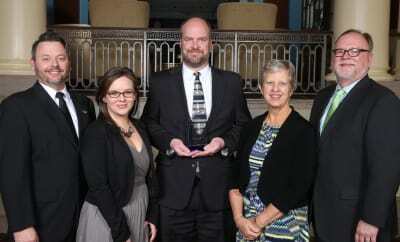 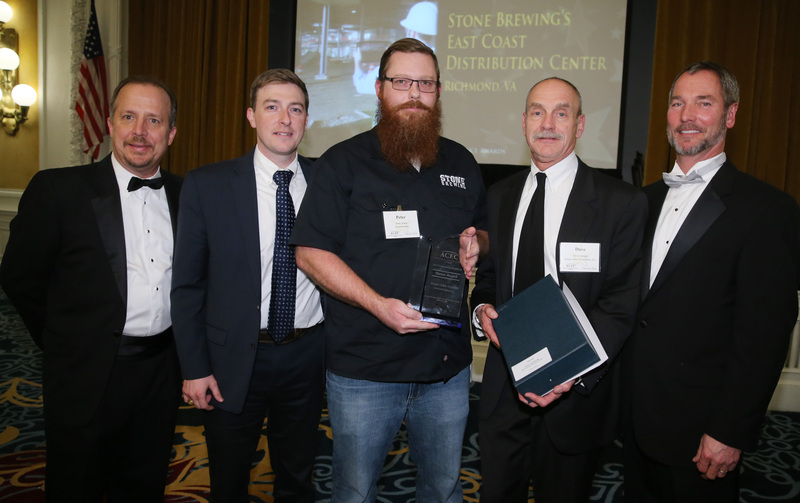 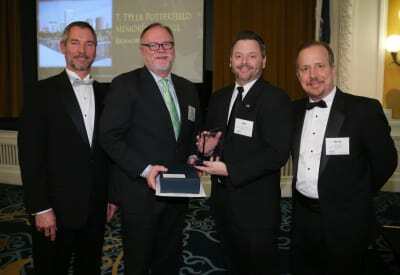 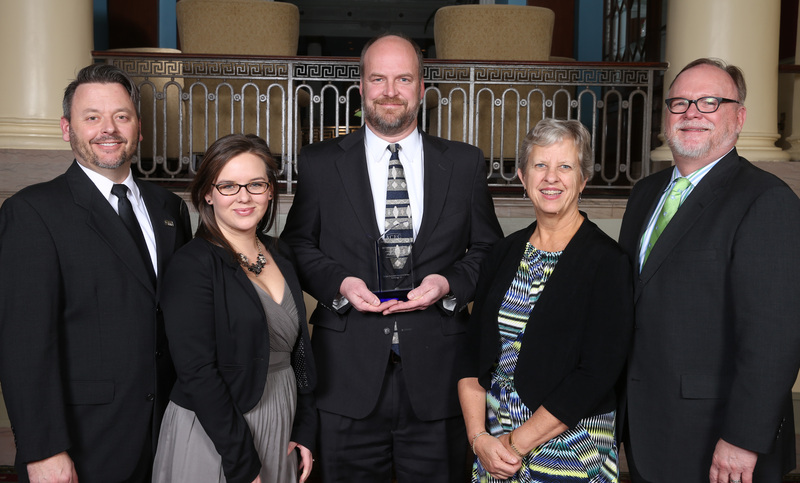 Three engineering firms received Honor Awards for their innovative projects including: A. Morton Thomas & Associates, Inc. and Atkins for the Virginia Capital Trail – New Market Heights and Varina Phases in Richmond, Virginia; Draper Aden Associates for Stone Brewing’s East Coast Distribution Center in Richmond, Virginia. Three engineering firms received Merit Awards for displaying design professionalism and engineering excellence on the following projects: AECOM for the Route 35 Bridge Replacement project in Southhampton County, Virginia; Johnson, Mirmiran & Thompson for the Route 61 over New River, Route 460 and Old Virginia Avenue Bridge Replacement in the Town of Narrows, Virginia; Johnson, Mirmiran & Thompson received another award for the Master Plan & Site Access Improvements project of the Virginia Railway Express Station Parking Lot in Spotsylvania County, Virginia; VHB for the Busch Gardens Overflow Parking Expansion in Williamsburg, Virginia; VHB received another Merit Award for their work on the T. Tyler Potterfield Memorial Bridge in Richmond, Virginia. 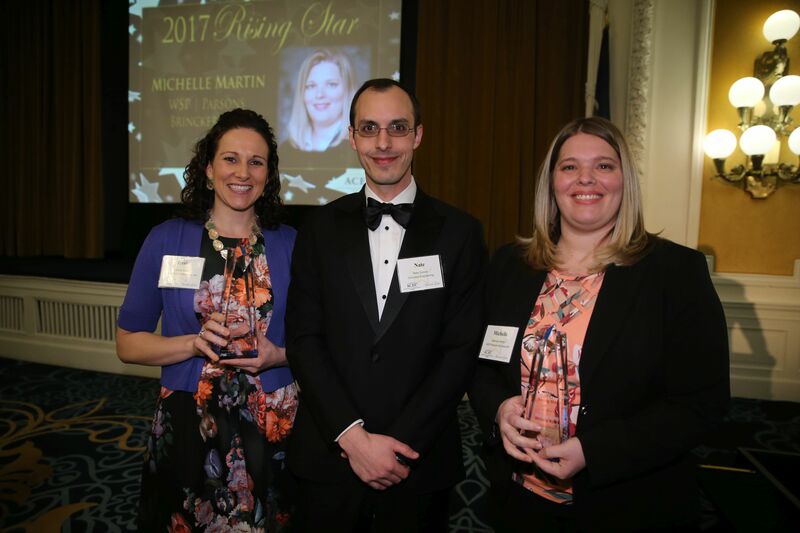 Congratulations to all of our award winners and be on the lookout for our Special Edition Newsletter to be mailed later this month!